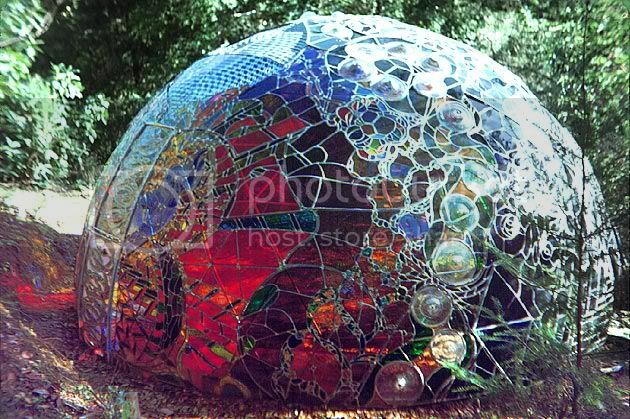 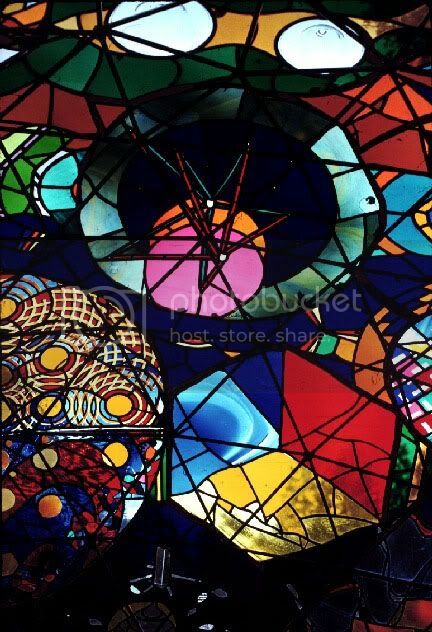 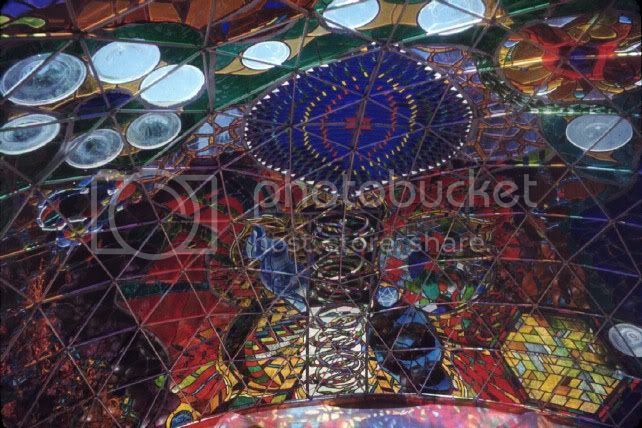 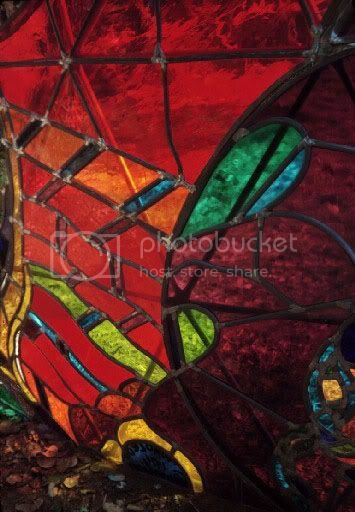 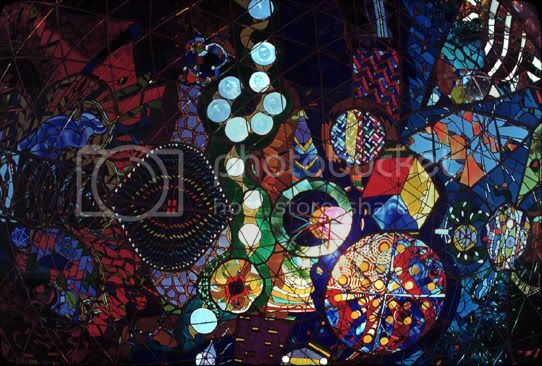 "The Wholeo Dome is an artistic expression of colored light that everyone can experience simply by stepping inside. 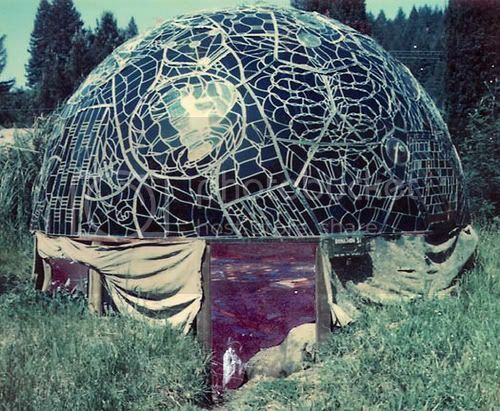 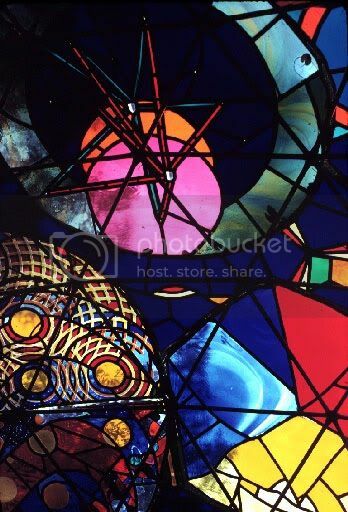 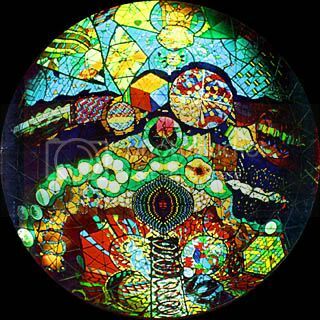 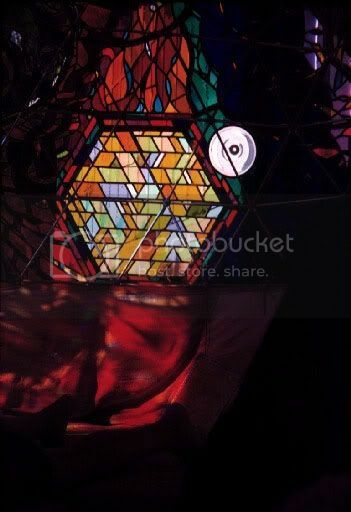 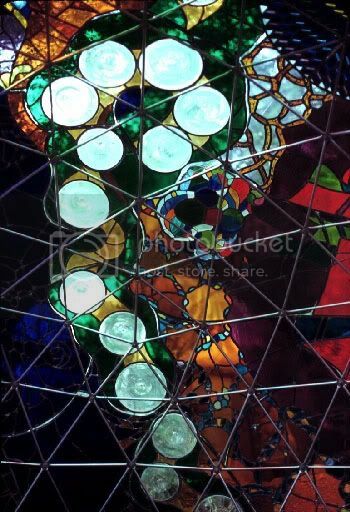 Completed in 1974, Wholeo Dome is a 14-foot-in-diameter, 7-foot-tall geodesic dome covered with curved, stained glass panels. 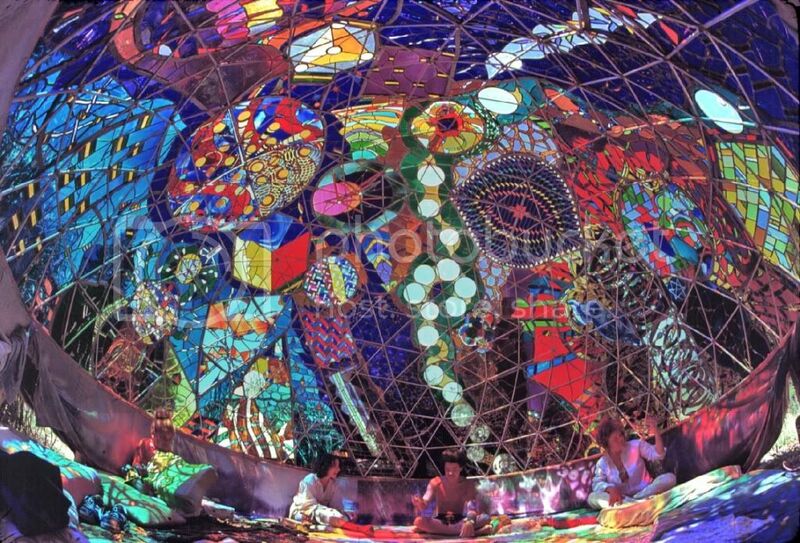 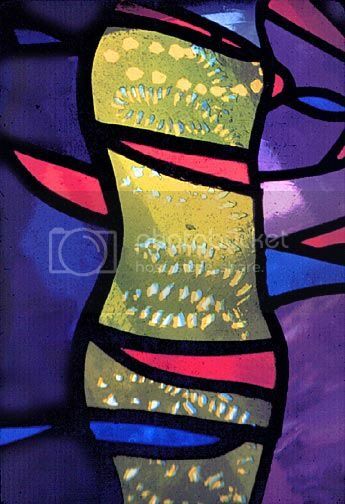 “I created Wholeo Dome as an exercise in communicating using colored light as a medium, “ says Caroling the artist. 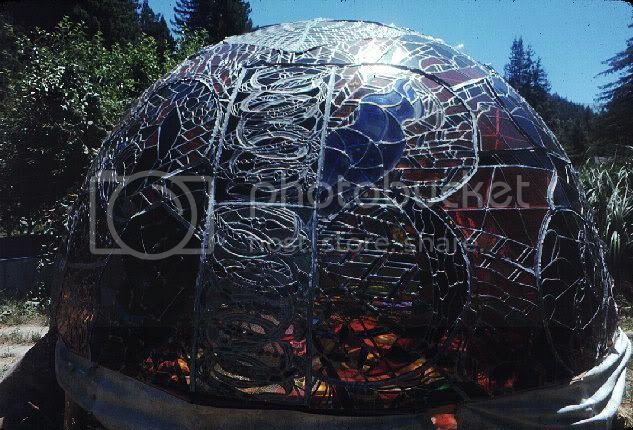 In 2004, after having been kept in storage for more than twenty years, Wholeo Dome is installed at The Farm School in Summertown, TN, USA"